Are you tired of visiting remote destinations to find the slots you seek? Is it taking time and costing you so much money? Then, no more guys, there are plenty of online gambling sites that devote themselves entirely to the games, but few that put a focus on slots. 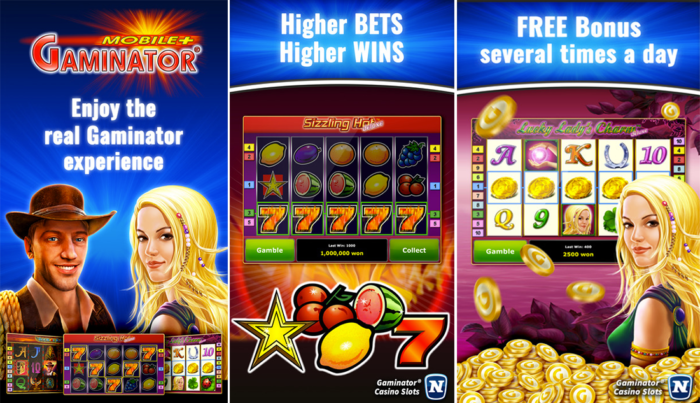 Gaminator is one of the few, which is an online game to play free slots. While this may not be ideal for someone who wants a full casino experience, Gaminator is a slots lover’s dream, offering plenty of machines at a time. With everything available on this app, it’s the true Gaminator App on your smartphone. It works with iPhone, iPad and iPod touch and requires iOS 8.0 or later versions. Gaminator has been developed by Funstage Spielewebseiten Betriebsges. m. b. H. It has a huge collection of free casino slots which include Hot Chance, Indian Spirit, Golden Cobra’s Deluxe, Super Dice; Multi Dice;Power Stars and a lot more. There is no registration required at all to play this game. In Fact, you will be given some welcome bonus when you start playing Gaminator. You can connect with your Facebook Id to get more surprises and bonuses. This game is the only one having free slots. However, the goal of this game is to satisfy a player and to entertain him/her. But you cannot win real money or real items and services by playing slot machines. Gaminator credits cannot be exchanged for cash or to be paid out in any form. To play this game, you need some virtual money than it can only be purchased using real money in the ‘Shop’. The more you play, the more you earn. It means when you go to a higher level, you will receive experience points and an extra bonus. Remember, there are high odds winning and big wins. So, gamble and multiply your winnings. You have the opportunity to take these benefits as lots of free spins and daily bonuses is available in the game. The features of this app are damn good. With touching graphics and unique sound effects, the game is ruling the country. It seems as if you are playing in a real casino. In this version of Gaminator, you can play with many people on the same device. This game is free of charge and more sensational slot machines will follow soon! The game is recommended only for adults. So kids, grow up fast to play this game! Have fun with Gaminator and open your iTunes store to download it. PROS: free casino slots; saves money and time; welcome bonus; unique sound; HD graphics; free bonus several times a day; higher bets, higher wins; only for virtual money; free.